UN humanitarian chief Jan Egeland has described the situation in the Sudanese province of Darfur as “totally hopeless”, as the peace agreement signed in May isn't working and neighbouring countries could be drawn into the conflict. A peace agreement signed in May between the Sudanese government and one of three rebel groups has largely been ignored. Violence is spilling over into neighbouring countries, threatening the stability of the entire region. 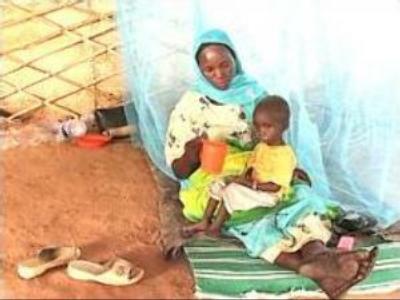 Around two million of Darfur's black African population is living in camps, devoid of international aid and vulnerable to attack by government backed Arab militias. In three years, the conflict has claimed 200,000 lives, and caused more than two million people to flee their homes. Jan Egeland who steps down next week believes much of the suffering could have been avoided if the international community had acted earlier and more decisively. The UN humanitarian chief blames the governments of Sudan and Chad, as well as ethnic leaders in Darfur, for fuelling the war. He also expressed frustration with UN officials, who he claims have politicised the situation. Egeland says it's time the international community acted together to stop the world's worst humanitarian emergency from deteriorating even further.